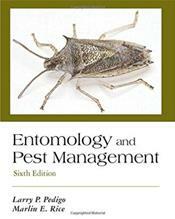 Pedigo and Rice expertly combine basic and applied entomology in this reader-friendly, pedagogically rich text. Assuming only a background in elementary biology, the authors present the major elements of general entomology before moving on to concepts in insect biology and ecology necessary for understanding insect pest management. Both theory and practice are emphasized as readers explore pertinent topics. The authors discuss pest-management issues both preventive and curative as aspects of applied ecology, with solutions considering environmental quality, profitability, and durability. Insect diagnostic boxes with detailed information on distribution, importance, appearance, and life cycles of particular species and groups appear throughout the text. Readers will come away with a comprehensive introduction to applied, sustainable pest management appropriate for whatever commodities they must handle.